South Roxboro Street between Hope Valley Road and Martin Luther King Jr. Parkway is currently being resurfaced, learn more about the resurfacing on the Public Works project website. The Transportation Department plans to reconfigure the lanes south of Juliette Drive once the resurfacing is complete. This project will align with the City’s Vision Zero program, and make the road safer and more convenient for users of all modes of transportation. The project involves removing a vehicle travel lane between Juliette Drive and Shady Creek Drive in order to add a bicycle lane, resulting in one vehicle travel lane and one bicycle lane in each direction. The City plans to construct a signal at the intersection of South Roxboro Street and Juliette Drive in conjunction with the repaving and re-striping. Using the proposed lane configuration, a traffic signal study was conducted and now meets criteria for a traffic signal. The Third Fork Creek Trail crossing will be upgraded in conjunction with this project, made possible with the elimination of a dual-lane threat to pedestrians and bicyclists. This project will reduce speeds and make traveling along and crossing the road more comfortable for motorists, pedestrians and bicyclists. 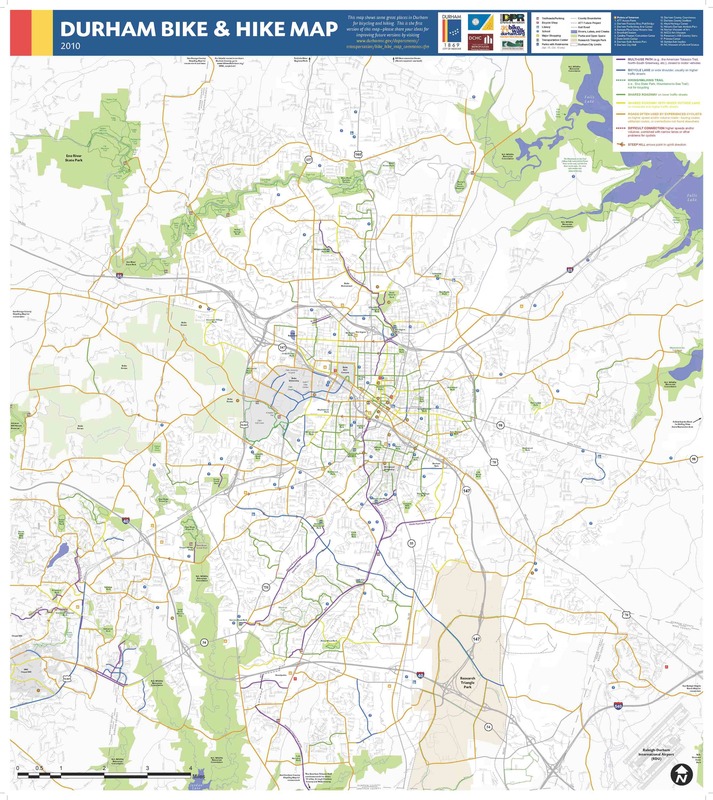 Additionally, it fills a gap in the bicycle network that shortens the distance between the Third Fork Creek Trail and the American Tobacco Trail. It allows the City to install a signal at Juliette and Cook, and make improvements to the Third Fork Trail crossing. The left turn lanes along the corridor will remain unchanged. The lanes at the intersection with Hope Valley Road will remain unchanged (the southbound bicycle lanes will end before reaching Hope Valley Road). The lane configuration between Carlton Crossing Drive and Martin Luther King Jr. Parkway will not change. All work will be within the existing street right-of-way, and will not affect adjacent properties. Volumes on South Roxboro Street are about 7,500 vehicles per day (vpd). Two-lane roads with left-turn lanes can comfortably accommodate up to 16,000 vpd without introducing congestion or delay for drivers. A comparable street is Woodcroft Parkway between Hope Valley Road and Fayetteville Street. In this section, Woodcroft is one lane in each direction with left-turn lanes and a median, and it carries about 7,500 vpd. There are no measurable issues with congestion or traffic jams along this corridor. The city has received a number of complaints about vehicles not yielding to pedestrians on South Roxboro Street. As part of this reconfiguration project, the Department plans to upgrade the Third Fork Creek Trail crossing on South Roxboro Street. The City plans to construct a traffic signal at Juliette Drive in conjunction with the repaving and restriping. In the department’s experience from past projects, reducing the number of lanes on a road usually results in lower speeds. Higher speeds lead to more crashes that result in more severe injuries. The City recently adopted the Vision Zero program in order to address this issue. Vision Zero aims to slow speeds throughout the city to provide a safer transportation environment for all users.